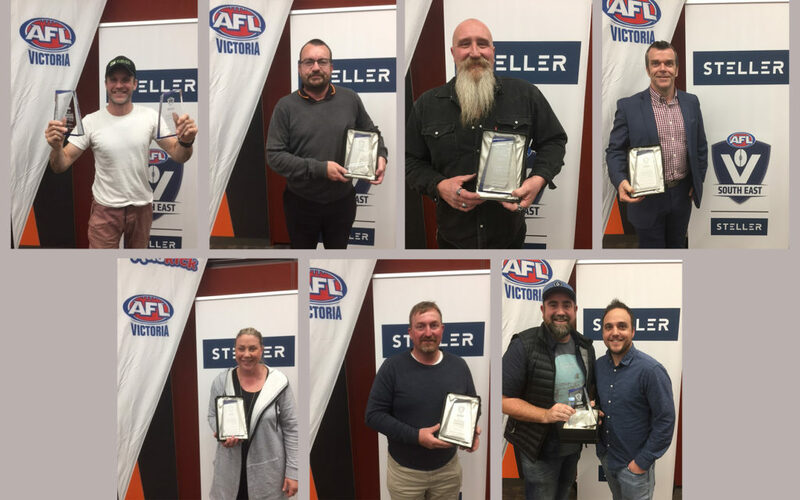 They are the developers of young talent and managers of men and women who shape the immediate and long-term landscape of football – and our coaches and coordinators are being recognised for their efforts right across the AFL South East region. Auskick awards winners were recognised at a function held at Karingal last week while the Junior, Youth, Female, Rookie and Senior Coaches of the Year will be announced at the MPNFL Division One Grand Final Luncheon held at Frankston Park today. Congratulations to Beleura, Karingal and Upper Beaconsfield for taking out their respective Auskick Centre of the Year Awards. And good luck to all of today’s worthy nominees.